If you happen to have an abnormal development or growth of wisdom teeth, they can potentially become infected and cause pain. When your mouth is crowded and there is no room for the teeth to come in, the wisdom teeth can become impacted and grow abnormally in the wrong direction. 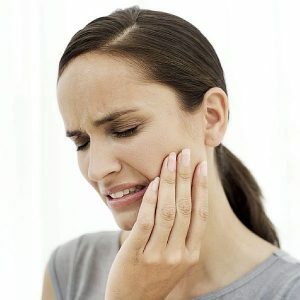 There can serious complexities like developing cysts, damages to bones and tissues or decalcification of an adjacent tooth which remains in contact with growing wisdom tooth. Your tooth may hurt if you have Temporomandibular Joint dysfunction. TMJ may occur due to various reasons. Excessive stress on the cartilage, force on the muscles or nerves surrounding the temporomandibular joints may lead to the TMJ condition. The TMJ joints are positioned on the two sides of the head and aid in joining the jaw to the skull. Here are a few ways how you can reduce your Dental pain.